Twitter is one of the best platform for social Media and also for Celebrity, So here is a best way to make money out of your Twitter account. Do you use your twitter account daily and have many followers then you can make huge bugs out of it. 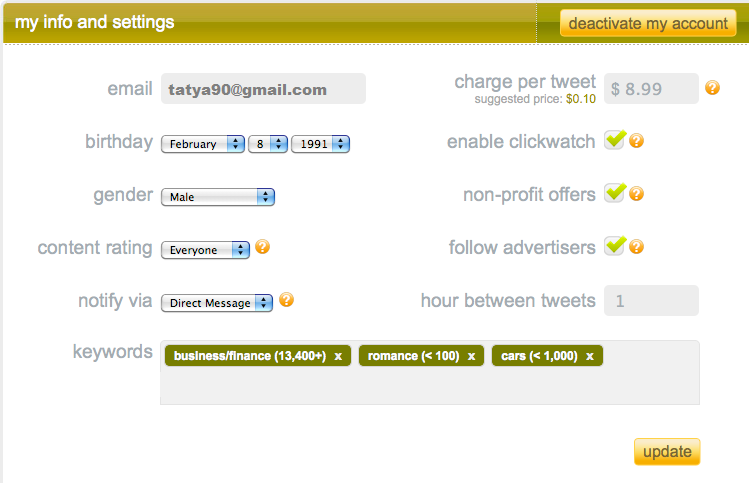 There are advertising platforms that can help you in making money using Twitter. 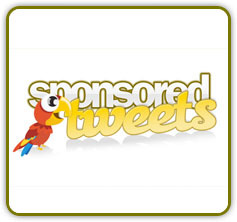 Sponsored tweets is an advertising platform where you have to register account for advertisers with tweeters. Now you have to set your charges per tweet, If you don’t have many followers then my advice is to charge lower so that you will get approved faster, and start increasing your follower and then slowly increase your charges. Goto Sponsored Tweeting and click on Advertisers and Login to your account, If you don’t have account then register with your twitter account. Once you get Login goto Info and setting where you have to enter your information. such as you email ID, Keywords etc. Keywords are more Important that will bring traffic to your Content. In this process try to increase your twitter followers, more the number of followers you have, more will be the money that you can make. I hope you will try it out and will earn some handsome money from it. If you enjoyed the content please share it with your friends and followers.